The governor’s pick for Veterans secretary says he’s looking forward to the challenge. A Senate committee hears public testimony on whether to confirm Governor Scott Walker’s appointment of John Scocos to Secretary of Wisconsin Department of Veterans Affairs. Panel member Senator Lena Taylor (D-Milwaukee) asks whether Scocos can effectively lead the very agency he’s suing for his termination upon his return from Iraq. Scocos emphasizes three of his main priorities: WDVA solvency, employment opportunities, and outreach programs for veterans. The agency is the subject of much controversy, including political infighting, a state audit showing deficiencies of the Wisconsin Veterans Homes, and the recent discovery of improperly disposed personal trash buried at the Southern Wisconsin Veterans Memorial Cemetery. 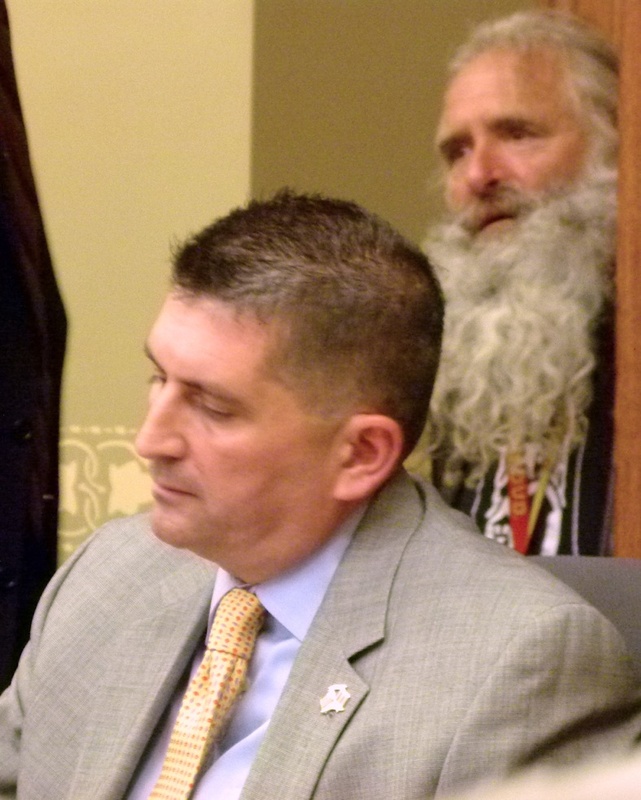 Committee Chair Senator Joe Leibham (R-Sheboygan) says the committee plans to take a vote on Scocos’ appointment next week. The Senate Committee on Veterans and Military Affairs heard testimony on six appointments, including two new Veterans Board members.